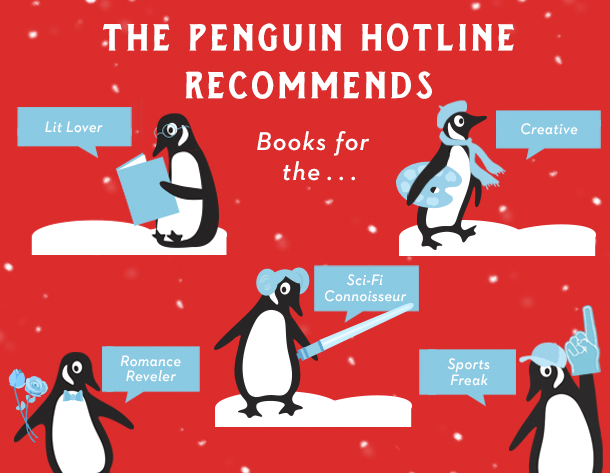 This holiday season, the Penguin Hotline is sharing recommendations straight from the source. Our team of staff experts have great bookish gifts for everyone on your list, from the Lit Lover to the Mystery and Thriller Enthusiast. Scroll below to see what the Penguins are recommending and click on each title to see the full list.